I might start concentrating on healthy little lunches. 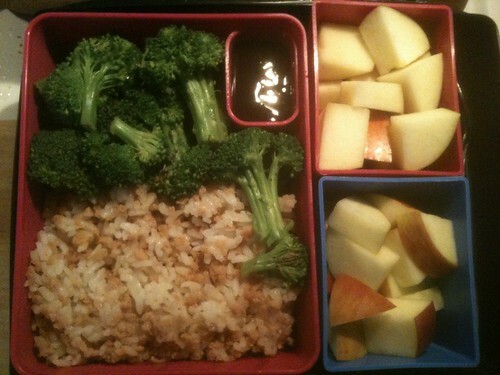 This one was unfortunately bland, except for the broccoli with plum sauce. I definitely need to use exciting broths for the TVP next time (like peanut sauce).